Defence Research & Development Organization had recently released a notice announcing 494 vacancies for the post of Senior Technical Assistant B. The application process had started on 4th August and ended on 29th August 2018. Though the Tier I exam date has not been announced till now, we can expect the exam to start very soon. Before starting exam preparation, it’s advisable to have a glance at the DRDO Senior Technical Assistant B Syllabus 2018. Scroll down to read more. This exam is screening in nature. You need to secure minimum 40% marks to qualify this exam. This test will consist of 100 questions and 100 marks on the subject of specialization. You will get 90 minutes in total to complete the paper. Check the section-wise syllabus here for Tier I. 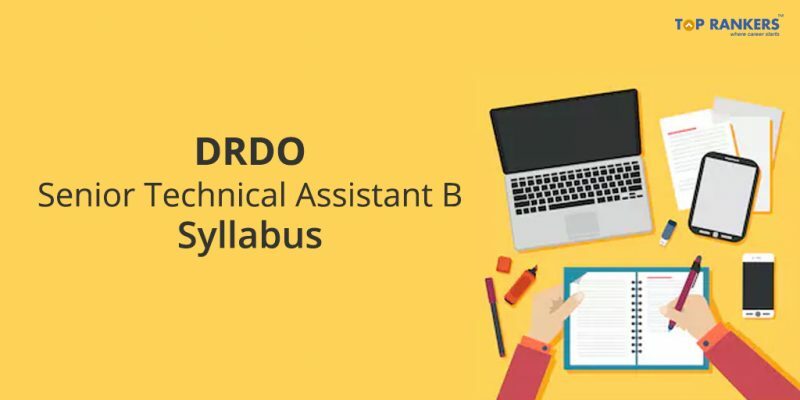 So, tell us, did you find our post on DRDO Senior Technical Assistant B Syllabus 2018 helpful? Then, keep visiting us regularly for more exam syllabus updates. And do share your thoughts with us in the comments section below. ‘Cause your opinion matters!